It's taken over a year for it to happen, but the Miami Marlins have finally traded catcher J.T. Realmuto. Earlier today, it was reported that the ​Philadelphia Phillies were building up momentum toward a trade that involved the All-Star, and in news first reported by Jim Bowden of The Athletic, the deal has been agreed upon. Four players are headed to Miami in exchange, including catcher Jorge Alfaro and top pitching prospect ​Sixto Sanchez. Left-handed pitcher Will Stewart is also going to the Marlins in this deal, which figures to help the Phillies in their appeals to superstar outfielder Bryce Harper in free agency. Will Stewart LHP ground ball machine went 8-1 at Lakewood with 2.06 ERA in 20 starts goes to #Marlins in Realmuto trade with Alfaro and Sanchez. 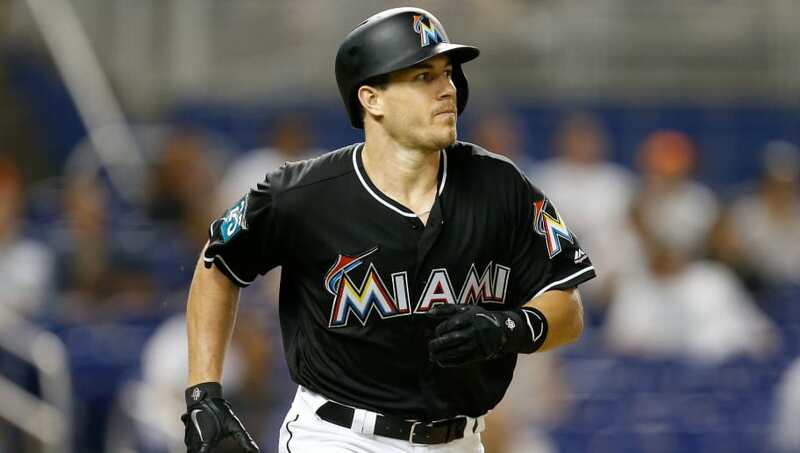 It seems almost every team has been knocking on the Marlins' door regarding Realmuto, and he's now finally headed out the door. Miami probably would have preferred not dealing him within the NL East division, but there's no way they could've entered camp with him on the team with all the trade speculation surrounding him all offseason.